The South West Baptist Association have arranged to hold a 'Mental Health Awareness Day' on Saturday 30th September. Please let Andy know if you wish to go, by 18th September at the latest. The day takes place from 10am to 3pm at South Street Baptist Church, Exeter, with speaker Sally Bowcock.The cost is £15 including lunch. Flyers are in the foyer of the CBC church building. Learn how to help the one in four people who will have mental health conditions at some point in their lives. 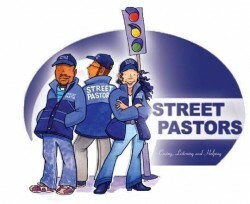 You are invited to the Chard Street Pastors AGM on Tuesday 21st April at Chard Baptist Church. We will be starting at 6.45pm with soup and pudding; then at 7.30pm we will hold our AGM reflecting upon the last year in the life of Street Pastors. If you would like to join us for food please let us know you are coming; otherwise we would obviously love to see you there just for the AGM at 7.30pm in the hall.